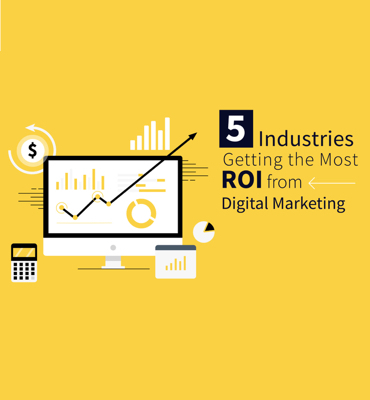 Savvy digital marketers are always trying to keep up with the latest trends and find ways to learn about the tools and tactics that are fueling the industry’s evolution. It’s not always easy to keep up, at the rate things are changing. But a growing number of digital marketing podcasts are covering the industry and offering great insights for the marketer on the go. These insight-packed audio lessons can be downloaded and saved so you can learn on your own terms. Listen from the comfort of your own home or on a crowded subway, and everywhere in between. Turning these waiting moments into learning opportunities can help you stay ahead of the curve. Combining precise talk about new trends in the market with the added benefit of being able to listen at work, on the go, and at home is the pretty much the best. Having all this new information delivered in a casual, conversational matter just makes it all that easier to absorb. Podcasts may have took a little while to catch on, now it feels like they’re everywhere. In fact, over 67 million Americans listen to podcast monthly. Truthfully the best way to learn anything new is to check out a podcast. Something about being able to listen to experts patiently talk about the topics that mean most to them keeps us listening and engaged. There’s nothing like slipping into your pajamas and kicking back with your favorite hosts. So what do we listen to, you might ask? 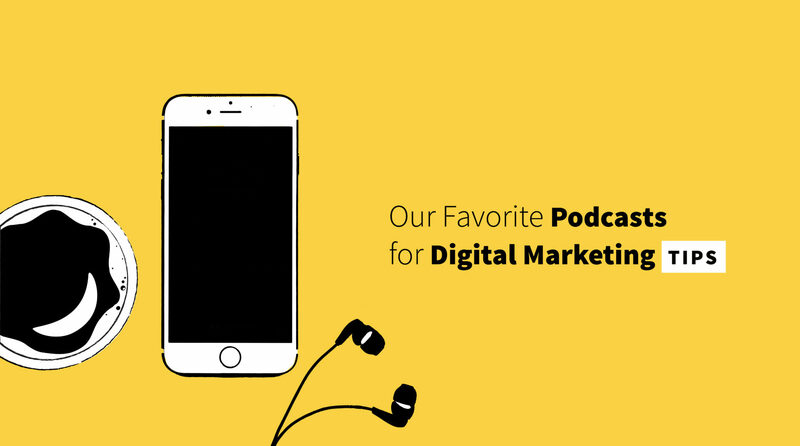 It was hard to choose, but we picked a list of our favorite Digital Marketing podcasts. Side Hustle Show – Nick Loper hosts this show for the “5-9” work crowd. If you’re not familiar with the term “5-9”, it refers to the type of young professionals that always seem to have a side hustle going after work their day job. And maybe even a side hustle after that one! The Side Hustle Show teaches listeners creative ways to get the most out of every moment as a digital entrepreneur. We especially love the Side Hustle Show because it is Digital Marketing for the world of 2017. The way our jobs and career aspirations happen is changing. People are more than ever likely to have a side hustle or a second job. Even month to month the market and the way people navigate it can completely change. 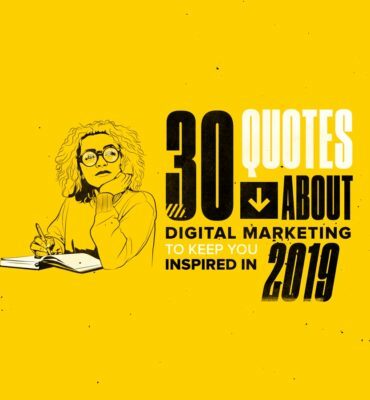 That’s why we love this mix of scrappy, DIY sensibility and the absolutely essential digital marketing knowledge that will need to come with it. This podcast is great for anyone who has ever worked nights and weekends to chase their dreams. Or the people who are dreaming of doing so, and are about to take the plunge! Entrepreneur on Fire – John Lee Dumas aka JLD runs this podcast that features amazing superstars from the digital marketing world to educate and inspire. Although Dumas is a wonderful host, our personal favorite part of this podcast is the solid advice from industry guests who have been out there in the trenches. Instead of focusing on the end goal and the success stories, Entrepreneur on Fire focuses on the journey of each guest. This means that each show encapsulates all the ups and downs of each guests’ journey. We get to hear about their best days, and their worst days too. While the victory lap they took when they figured it all out is great to hear about, it doesn’t really help us understand how they made it to where they are now. This honest discussion makes Entrepreneur on Fire an incredibly real and down-to-earth listen. Ask Gary Vee – NY Times best selling author and big personality Gary Vee gives digital marketing advice in this dynamic podcast. Gary Vee is just straight up fun to listen to with his fresh perspective and his strong voice. Beyond that, this podcast centers on his listener’s real life problems. Fans of his podcast can submit actual questions that they’d like his help on, which is so refreshing. Because of this, we get to hear Vee give practical life advice to everyone from the student wondering if he should be going back to school, to the local restaurant wondering if they’ll get out of their slump. It is so cool to hear Vee’s advice on how these real people should deal with their problems. The honest feedback and the real world applications make this podcast a true marketing gem! This podcast is perfect for digital marketers who want to see how their theories translate to the real world. Even better, this podcast was originally on YouTube so there’s a whole host of interesting visuals to go along with most of the episodes. There is a lot to love about Ask Gary Vee! 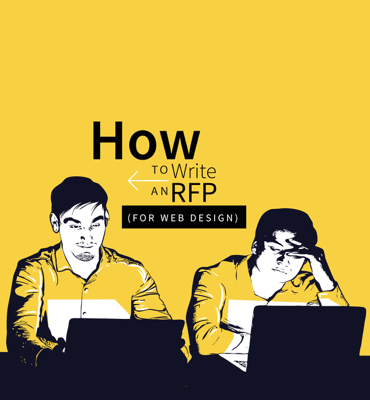 This Old Marketing Podcast – Joe Pulizi and Robert Rose co-host this educational digital marketing podcast that is full of back-and-forth witty banter and important lessons. This Old Marketing truly pulls lessons from the old, which is part of what makes it so special. While it is tempting to see marketing as a new business person’s problem, it’s actually as old as commerce itself. Telling stories to keep and retain a customer base has been around forever. Marketing has always been about brand recognition, before that was even a word that we worried about. Building your reputation and your credentials are marketing principles that have been around forever. Because of this, Pulizi and Rose keep it real and keep us learning with their amazing podcast. Duct Tape Marketing – John Jantsch heads this weekly podcast that gives hands on, no-nonsense digital marketing advice for the DIY entrepreneur. With it’s unusual name, Duct Tape Marketing is almost exactly what it sounds like. Duct tape is the tool of people who get fed up and fix problems themselves. Got to patch something up? Grab some duct tape and a can-do attitude and your problem will be fixed in no time. Similarly, the Duct Tape Marketing podcast is all about DIY fixes that you’re able to encounter and enact on your own. Needless to say, there are plenty more podcasts where these came from. While it was pretty hard to narrow this list down, we highly recommend all these great podcasts. Despite being completely different, their passion and their intelligence unites them in being some solid picks for anyone claiming to be a Digital Marketing expert out there. Need an extra push? Here are the resolutions that should be on every marketers list this year. No matter what you would like to learn about digital marketing, chances are it is covered in these episodes. Luckily for us, this is only the beginning of the information that is out there.